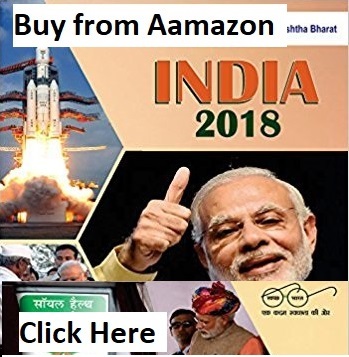 Home → prelims 2019 → tips → How to prepare for UPSC Prelims 2019?! Candidates often find UPSC Civil Services Examination a hard nut to crack. This is not due to lack of hard work or potential, but lack of right strategy and smart work which makes the difference. Through this blog we try to give you a simplified yet effective strategy which will supplement your preparation for forthcoming 2019 preliminary examination. UPSC Civil Services exam is more of a filtration process. Approximately 10,00,000 aspirants apply for the various elite services but only ~1000 get into the coveted list. With changing nature of the exam, question pattern, difficulty level, this exam requires more than the traditional hard work way out to clear. 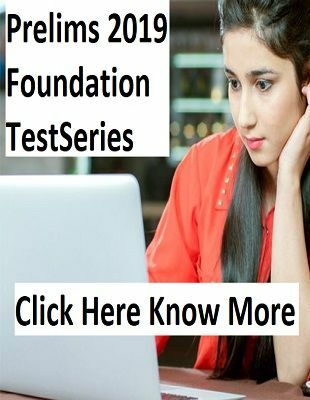 Through the series of blog we shall discuss about basic approach for preparation, strategy of what to read, what not to, how to read, do’s and don’ts which all evolved from our personal experiences both during the preparation period and on the examination day. First thing first, keep a positive mindset and practical strategy. You don’t need to know everything under the roof. Keep your sources limited and trust them. 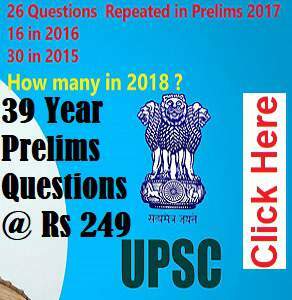 You need to know the nature of the UPSC exam. Why a particular question is being asked? What to focus on and what not to. For instance, Modern India, Environment, Polity has constituted 35-40% of the GS question paper in 2017 and 2018 Prelims. Thus, focus on these parts of syllabus has to upright. The nature of the exam has become more dynamic but the syllabus remains the same. Therefore, it is advisable to be through with the basics i.e. fundamental NCERTS and standard books. Money bill was a trending topic thus a question was on expected lines. Many more examples like question Champaran satyagraha, Tyagaraja were based on dynamic trends. There are no prelims only, mains only preparation. It is an integrated process from preliminary right till the interview. Thus, an integrated approach is mandatory. Also changing nature of the questions requires candidates to be more analytical which is only possible through a comprehensive reading. Gives detailed analysis of your performance, your strengths and weaknesses. In short it is the net practice which prepares you to hit a century for the d-day. To help you analyze your approach to answer a question, reduce anxiety, controlling nerves and pressure. Final and the most open secret mantra to clear this prestigious examination is revision. Keep your notes and resources consolidated such that it becomes easier to revise 4-5 times before the exam. The journey to the coveted list is tough and driver needs to be tougher. Approximately 6 months down the line on 2nd June 2019 hundred thousand of you will write down your destiny. We shall ensure that it is beautiful one. Stay focused on your preparation and keep tab on the blog for subject wise analysis, preparation strategy, probable question areas etc. and approach to Prestorming 2019- your key to mains 2019.